MODEL 5063: the "Swing away guitarist"
This was Hilgen's most sophisticated amplifier by far. 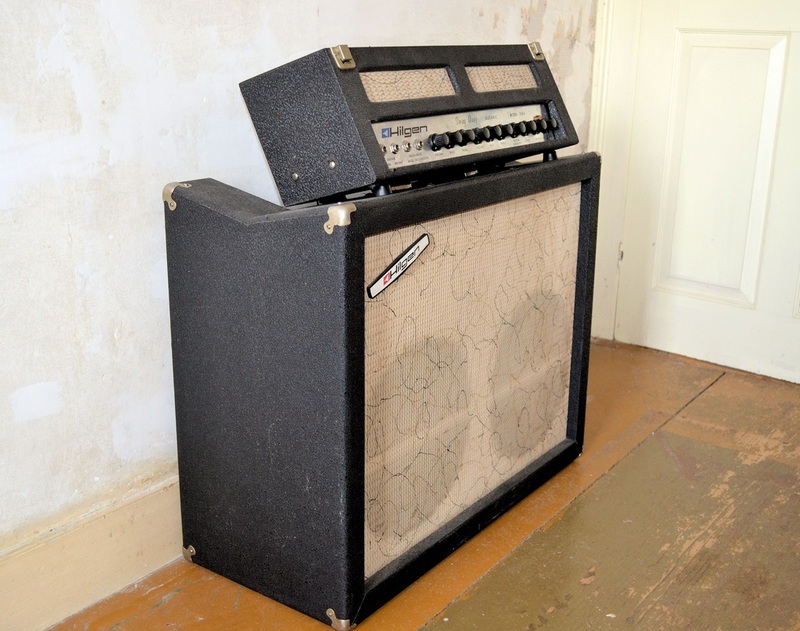 In a presumed reference to the Ampeg "Portaflex" line of bass amps, the Swing Away was designed so that the piggyback head would rock back on a hinge and into a recess in the cabinet, thus providing some protection for the head in transit. The head could also be removed from the cabinet completely. There is much to add to this page, but for the time being, I will say that this is the finest amp I have ever heard. Two, each with access to tremolo and reverb. NOTE: No tube rectifier found. I have not yet removed the chassis, but expect to find a pair of diodes on the underside of the chassis. Two 16-ohm, alnico 12" Heppner speakers, apparently original, # 575316 and # 575318. This is intriguing, because the speaker code indicates that they were made on the 16th and 18th weeks of 1963, respectively. To my knowledge, Hilgen did not offer the Swing Away until 1966, and was not in business after 1967. I currently believe these speakers to have been pulled from a Hammond organ that had been built in 1963. It was fascinating to see that the Heppners definitely had dissimilar speaker cones. The right-hand speaker (viewed from the back) had a relatively flat, ribbed cone, while the left-hand speaker had a smooth cone that was shaped somewhat like the bell of a trumpet. The ribbed cone carries model number AO-24346-0, while the other displays model number AO-24347-0. Research indicates that this combination of speakers were used in Model L-100 and other Hammond console-style organs. The ribbed cone handles low frequencies while the horn-shaped cone emphasizes higher frequencies, thus creating an apparent cross-over where there is no cross-over in fact. 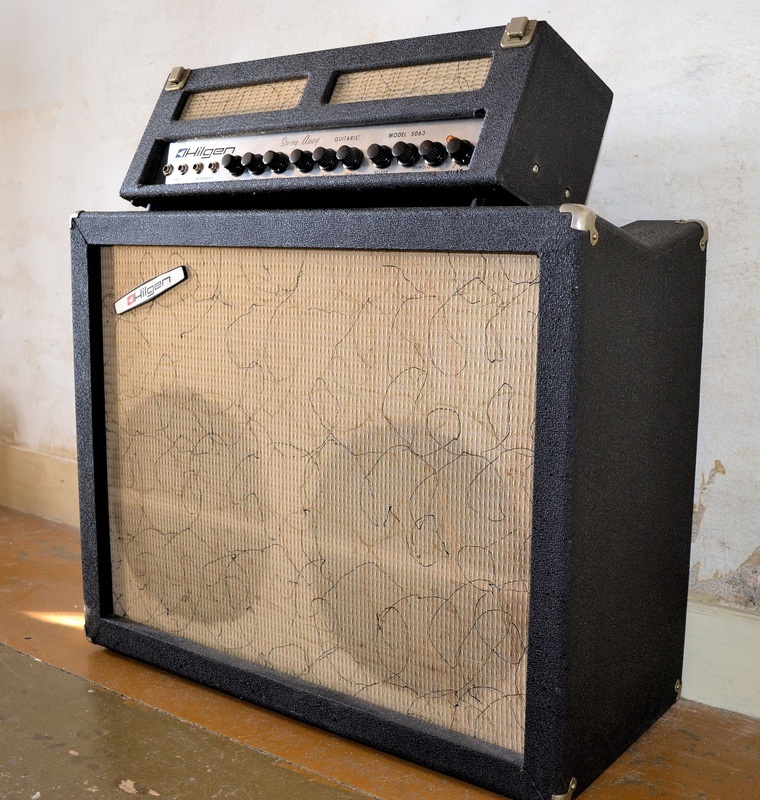 Heppner speakers are not well known in guitar circles. They were commonly used in Hammond organs. Snobs sneer at them as being inferior to Jensens of the period. Beats me. 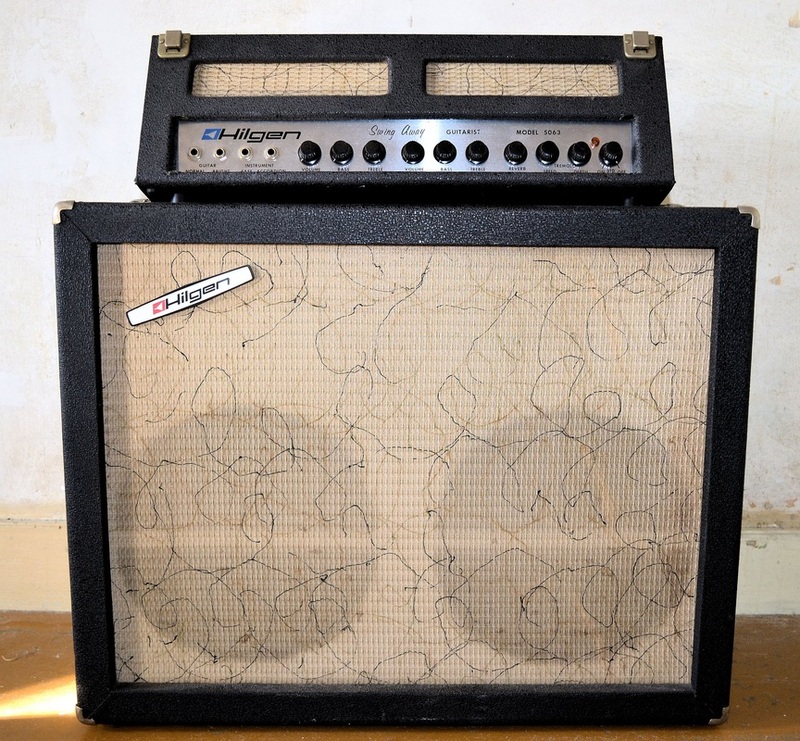 I played through two white Fender Bassman amps with 12" alnico Jensens as my main amps for 10 years. Jensens and Heppners both sound great. Just different. Heppners are a bit darker, and contribute to the pleasingly "woody" tone of this amp.